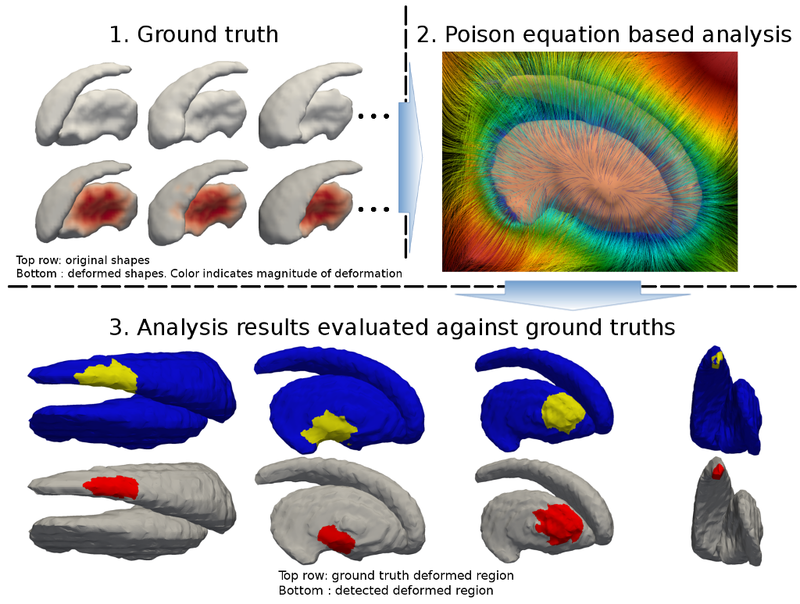 We proposed a new statistical shape analysis/morphometry technique based on the 3D Poisson Equation. 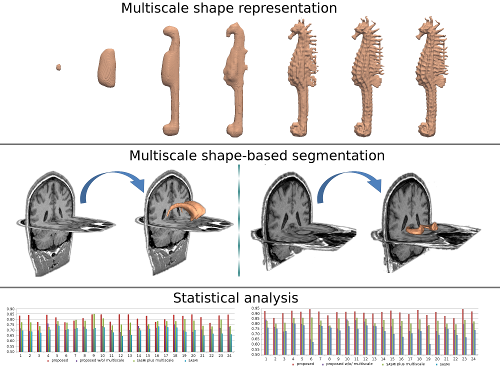 In addition, we proposed a quantitative evaluation framework for morphometry/shape analysis methods. To the best of our knowledge, this is the first quantitative morphometry evaluation framework and the proposed method is the morphometry technique that is systematically and quantitatively validated and evaluated. The source code is hosted on github at here. 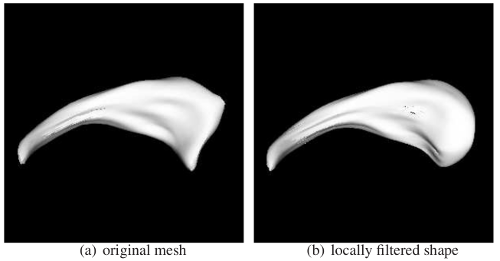 we proposed a multi-scale shape decomosition and reconstruction for 3D shapes of arbitrary topology. As a bi-product, we release the code for performing 2D and 3D wavelet transform on ITK images. The source code is hosted on github at here. 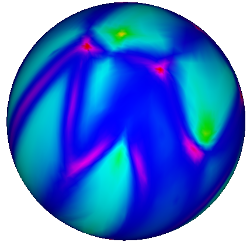 For example, the surface below on the left will be mapped to the sphere on the right. The sources code here, however, is a further improvement over the previous publication: First, after we submitted it to the Insight Journal, thanks to the contribution of Dr. Alexandre Gouaillard and the open science philosophy of the journal, the code has been improved to be more coherent with the ITK framework. Later, we utilized the preconditioned conjugate gradient solver in the computation which significantly accelerated the algorithm. The last improvement was a to make sure that the points on the final sphere is more evenly distributed. Comparing with the code now in ITK 3.20, the code here has tighter convergence criteria and therefore gives better result. These changes will be adopted in ITKv4. Tracing out the target in a 3-Dimensional volume data is time consuming. 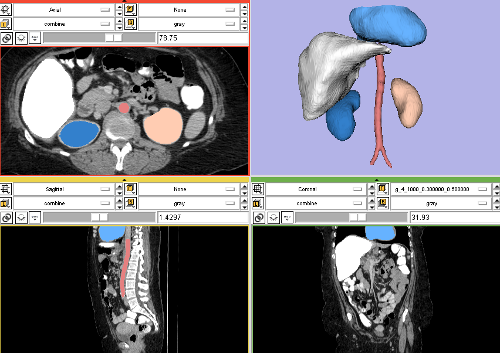 This algorithm/software is an end-user oriented, interactive 3D image segmentation tool. It is fully integrated in the 3D Slicer software. To use it, the user will simply provide a few strokes in the desired region and this algorithm/software then takes over and performs the full 3D segmentation. TODO: I'll add code here soon. We proposed a framework for validating statistical shape anlaysis methods. TODO: I'll add the shapes here soon. 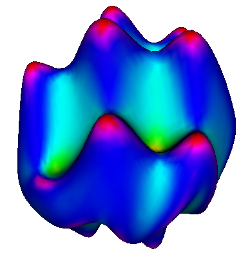 How to do wavelet analysis on a 2-sphere? How that can be applied to localized analysis of a shape?